For my birthday last year I got my first sewing machine and the first thing I made was a quilt! I was so proud of that quilt & when I look at it now, I realize that I’ve come SO FAR in the past year. I’m stubborn in the way that I just wanna figure it out myself. No YouTube videos, blogs, etc. The consequence of that? I tried to make a t-shirt quilt with this super high-loft batting that literally made my sewing machine CRY. I knew nothing about fabric, using the right kind of thread or different feet for my machine. 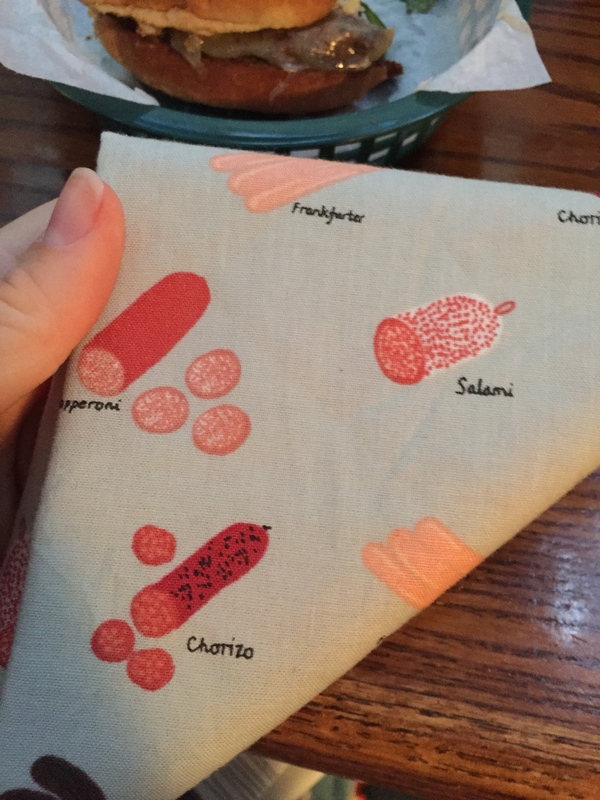 So, my very first quilt had a lot of seam issues, but it was fun. Reallly really fun. So over the past year I’ve figured out what works, what doesn’t and finally read some blogs that cleared up some of the issues I was having. I’m officially a fabric hoarder and I buy fabric everywhere I go. Some people collect snowglobes, I like to buy fabric when I visit somewhere. The fabric above is from this magical fabric store in Downtown Lawrence that I could have spent my entire paycheck in. 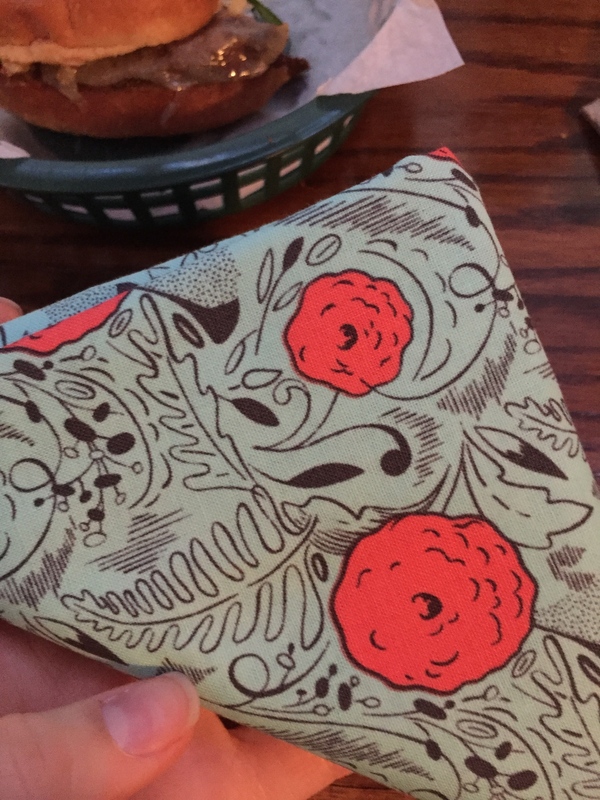 When I went to New York earlier this year, I bought a bunch of fabric in a tiny little shop I found. When I make quilts out of it, I’ll be able to look back and remember where I bought it, what I was doing, etc. I’m super into geometric-ish quilts. I just got the Farmer’s Wife book for my birthday and I think that’ll be my next challenge. 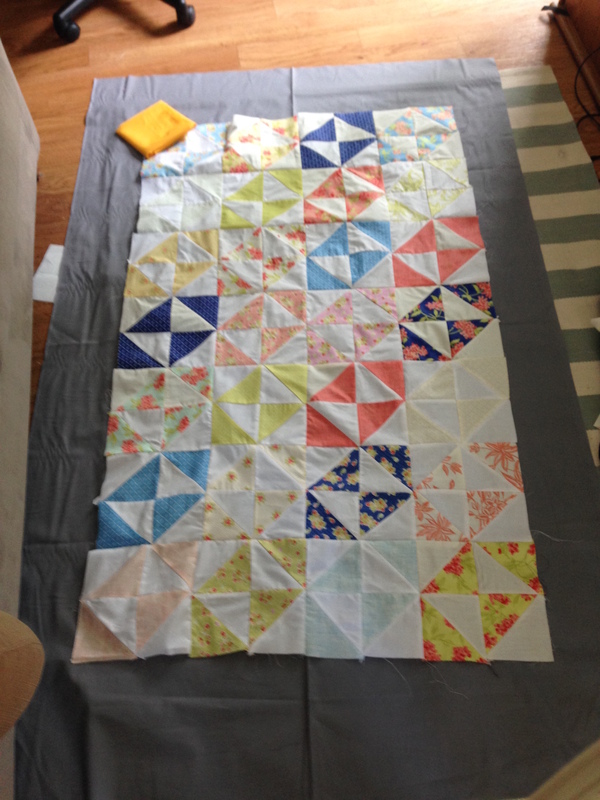 My second quilting attempt is this triangle quilt which is cute in the picture but it’s a trainwreck in real life. I bought hand quilting thread and tried to put that in my machine (lolllllll nightmare). I didn’t use a universal seam allowance on my rows, but my stuff matched up decent. Chose TERRIBLE fabric that I still have a million yards of because I way overshot what I needed. Overall, a really good first learning attempt. My third quilt came out a LIFETIME better than my second. This one was a nightmare because I tried to use basting spray and I’ve learned I’m better off just hand basting it for now. My OCD kinda hates the patterned +s not matching up well, but whatever, right!? 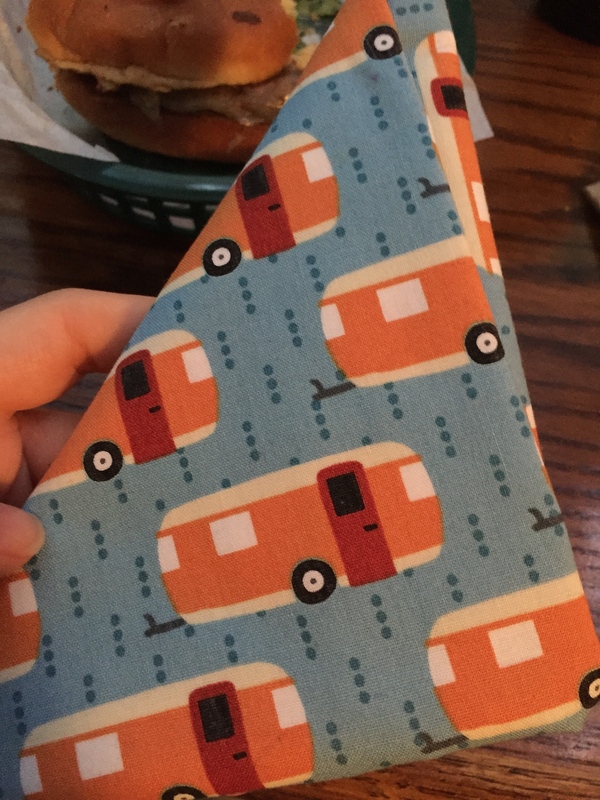 This one was my first to use precut fabric. 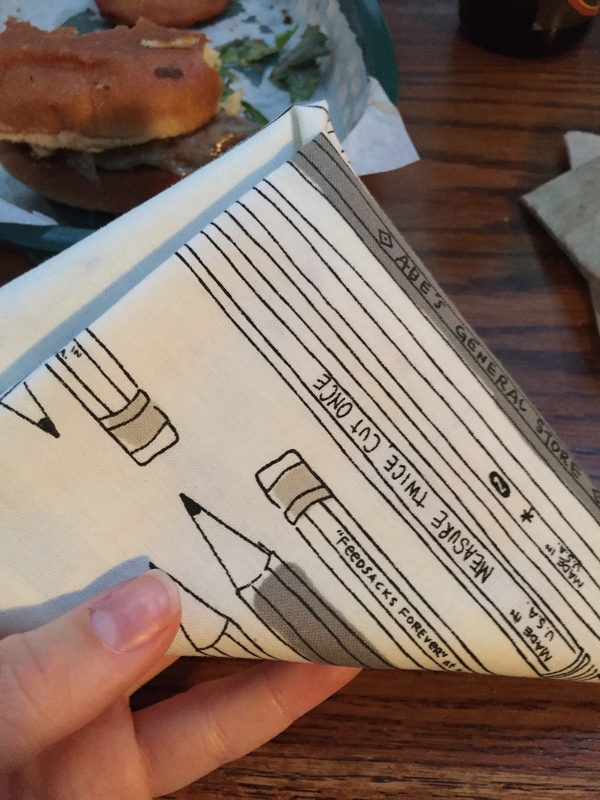 I bought two charm packs of Moda’s Aloha Girl and tried half square triangles. It worked out pretty well, honestly. They’re time consuming, but once I got the hang of it the whole process went pretty quick. This one was weird to figure out a binding color for. I didn’t want to do white, but the yellow in the picture wasn’t my favorite either. I ended up doing a navy that wasn’t my favorite either. I gave this one to my Momma on our trip to Hilton Head! My most favoritest to date. This was the first one I forced myself to slow down with and it came out really, really well. This was the first quilt that was of decent size, too. My last few have been tinier, more like kids quilts than something you could put on a bed. This one would be alright for a twin, but I like it for couch snugglin’ :). What great work you’re doing! 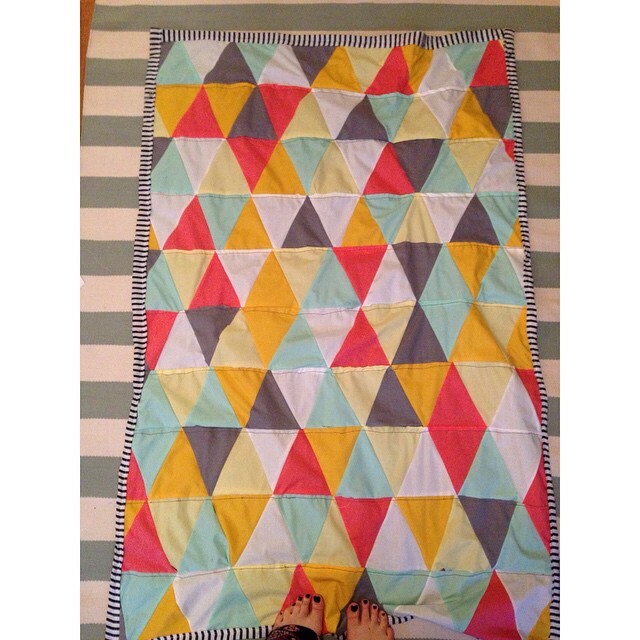 Love the triangles quilt. I hope you’re pleased and proud of yourself. If you have questions, feel free to contact me. If you look at my blog you’ll think, oh our styles are so different! Yes, maybe. But I’ve made most of the possible mistakes already, so I can give some tips that might help.